If you run a business, you've probably heard of the term "SEO." But what is SEO, and what does it mean? Here are the basics of SEO along with a few tips on how SEO can help your business gain customers. "SEO" stands for search engine optimization. It's exactly what it sounds like! 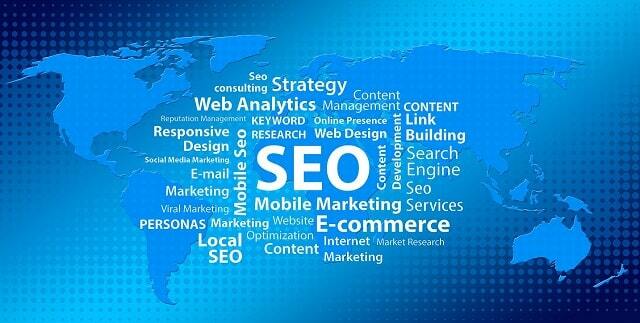 SEO is the practice of making your entire web presence more streamlined and search engine-friendly. The goal is to rank better with search engines. See, the thing about search engines is that a ton of people use them. An incredible 1.17 billion people use Google, and many of those people use it to find a local store to shop at, a restaurant to go to, or an online shop to buy something on. You want these people to see your business when they search. That means that you need to care about the SERP. SERP is the search engine results page, and it's a major SEO battleground. The SERP displays the results of a search, of course. The websites that fared the best when the algorithm crunched the query are displayed in order as "organic" results. There are also paid results — search engines will sell ad space based on keywords. The familiar SERP isn't your only battleground, though. You want your business to appear on Google Maps, too, and within specialized search engines like the ones on review sites like Yelp, explain the SEO experts at Link Laboratory. So how do you get good spots on the SERP? That's what SEO is all about, but the methods are complicated and ever-changing. Let's take keywords, for example. When you search for "baseball," you'll get results related to baseball. Having the word "baseball" in a website's text will help you rise up the rankings. But it's also important to master keyword phrases. "Baseball gloves for sale" is a very different search from "world series baseball schedule," and search engines know it. And then there's density. Think that typing a whole page of the world "baseball" will help you rank better for these searches? Think again — search engines know that trick. You need to get the density just right, and that's a moving target, because Google and other search engines change their preferences (and do so in secret). Search engine "spiders" crawl the web and move from link to link reading websites and mapping the internet. They can't see images, but they can read the meta tags: image descriptions, alt text, and file names. Metadata for images, as well as for websites as a whole, is important to SEO. How important? Well, that's always changing — which is why it pays to hire the pros that keep up with the latest tips and tricks. Links matter a lot to SEO. Links are how search engine spiders get around, and they also help search engines tell if a site is widely trusted and referenced. The text of links can tell search engines what queries a site can rank for. There's a lot to consider about links! Links were once the end-all and be-all of SEO. Algorithms are a bit more complicated now, but links are still extremely important. Building quality content will get you links, and some other techniques can be very helpful — but be careful, as some methods can result in penalties from the search engines. As with other factors, this link stuff is complicated. That's why there are professionals out there who pay attention to SEO best practices all the time. These are the folks that you want to rely on when it's time to invest in your own business SEO. Hire them, and get back to doing what you do best. I hope you enjoyed this blog post about the big SEO basics.